Ptouch Crafting Labeller by Brother - WIN IT!!!!!!!!!!! WINNER UPDATE – Congratulations to Debbie Spiller – this week’s lucky winner! Easily add your personal touch to a satin ribbon and decorative tape! Personalize ribbon and tape with a selection of 6 fonts, 309 symbols, 59 frames, 20 patterns, 6 built-in fonts, and 9 different styles. This compact and stylish labeller is ideal for all your creative work including gift-wrapping, party favors, craft projects and more. Label your children s school items, the contents of your fridge or freezer items, or folders in your office in a matter of a few moments. The use of labels and P-touch tape possibilities are almost endless! 2. Leave a comment right under this blog post – write DONE! You have until Friday, October 5th at midnight to enter to win. Hi! Done. Thanks for this chance. I’d love to win this prize. Great giveaway!!! In 2 weeks it’s my extra long Scrapbook weekend at my cottage with the girls !!! So cool and a handy size. Thanks for the chance to win! Would love to win this labeller! Thank you for the opportunity! What an interesting gadget! I have never seen one before. I forgot to put DONE in the original message. Opps! Handy tool for many tasks. Great prize! Awesome prize! I’m so glad my insomnia insisted I wake up early today. Oh yeah – DONE! Is this for Canada residents only? Done! Thanks for the chance to win this awesome prize! This would be great to label my crafty gifts, my craft room and my office, especially the fact that my hand no longer has a nice penmanship to label things. Done!! This labeller looks awesome!! What a great prize. TY. Another great prize!! I’ve always wanted one of these! I would love to win this!! I’m obsessed with labelling things!! I have been dying for 9ne of these!!! Love love love this!!!! I’m in need of a new labeled!!! Hoping to win!!! Thank you!! Done! I’d love to win this!!! Love Brother labellers and this sure looks like a good one! Done! This looks like am amazing prize! This label maker is too wonderful! DONEI want it! I need it! I want it! I need it! done. Done! Wow, great prize! Would love to add this to the fun things in my scrapbooking room. Done. Looks like it could be useful for soooooo many things!! Done! Would love to get this! Finally, a tool that can write professional labels! I love it! Done. Thanks for the chance. Can never have enough tools to help me get organized. Done. I would love to win this. So cool. Thanks for the chance to win. Thank you for the opportunity to win such a great prize! Done! This would be awesome! Done. Thanks or the giveaway. Love Brother products. Thanks for the chance to win. How cool is this! This would make a welcome addition to my scrap space. I see a lot of fun with this! Thanks for the chance to win. I so need a label maker, moving and packing things up. A label maker would sure come in handy! thanks for the chance to win one! I have an old P-touch label maker, but this sound like a dream for a crafter. It would be awesome to have the ribbon capabilities, all the frames, symbols, patterns, etc.. Thank you so much for the opportunity to win. I’ve been passing up the purchase of a new one to replace my antique, but my old one still functions so I haven’t had the heart to write it off. This just might put me there. Gasp!! Love this so much!!! Done!! Would love to win this prize. Been looking at this at Joann.com. Done ✅ Thanks for the chance to win!! DONE. This is fabulous. I would love to play with this. Thanks for the chance. Done! Woohoo, what a fabulous prize…I love Brother P-Touch labelers. Mine is old and I’ve used the dog out of it, lol. Oh this label machine looks soo cool! Done and thanks for the giveaway!! All signed up. What a cool tool! Done. Thank you for the opportunity to win this fabulous prize! This is amazing. I have an old dymo. It’s vintage. Please bring me into the 21st century. OOOH!! I would so love to win that. And I just bought a Brother Scan and Cut! What a generous giveaway! Thanks Brother & CSB! DONE! I need one!I saw this at the scrapbook expo and fell in love! I would love to win this to upgrade from my P-Touch! Done! Excited for a chance to win this Brother PTouch Labeller. Done! I absolutely would love to try this one out! Fabulous prize – would love to win! Done! Looks fabulous and fun! Great prize! Would love to have it for my grades 4-7 scrapbook club. Definitely done! Looks like so much fun. DONE – Would LOVE to win this! I love the Creative Scrapbooker! Thanks for the chance at an AWESOME prize!!! Done! Thank you so much for the chance. Thank you for sponsoring this great prize. What a cute machine I’d love to play with it. I signed up to receive the US-Brother newsletter. Done ❣️. Thanks for the chance to win a Brother PTouch Crafting Labeller. I so need this to get my stash organized! DONE! DONE! But I’m in the US, so I signed up for the Brother Global newsletter. I hope that was okay! Done! Love the idea of printing on ribbon! Done. What a great prize. Thanks for offering it. What an awesome product!! Anyone who wins will have blast labeling their life!!! I hope it’s me!! Love quotes in scrapbooking. A labeller would be great for that.. 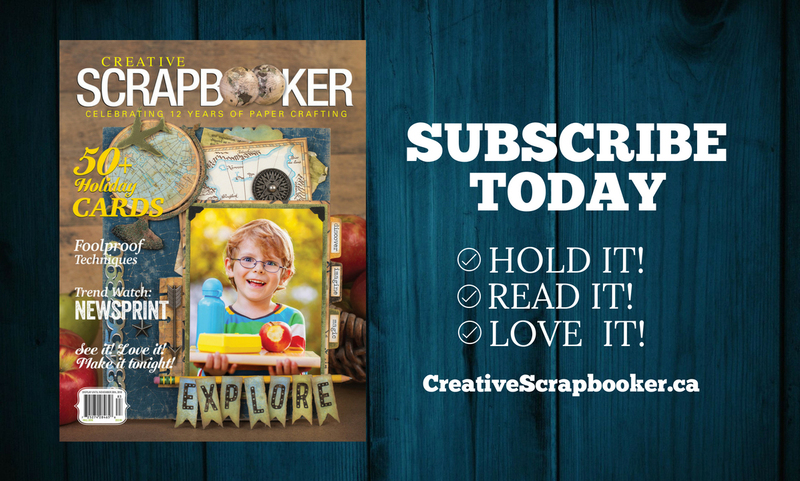 Wonderful articles in Creative Scrapbooker. Done! What a great new tool. It would be awsome t o win this prize!! Done! It would be awsome to win this prize! What a fabulous prize! I had a label maker ages ago, one of the old “punch” ones. I’ve been eyeing these fantastic machines and I’d LOVE to win one – thank you for the opportunity ! This looks like an awesome prize. Would love to give it a try. Just imagine the possibilities of hints to print on ribbons. Would love to get one. DONE! Yes, what a sweet giveaway! Oh what would get labelled on this house!! Ooh, ooh, I could label everything!!! Thank you all so much for partnering up with Brother to give us the opportunity to win this excellent tool. Personalized ribbon!!! That’s so cool!! I have a P touch ribbon printer but I think it might be the last model! This looks NICE!!! Done! Yahoo, what an amazing product! Thank you for this opportunity! Happy Fall! Done. Would love to win this! Would love to use this for scrapbooking. Done! what a super giveaway! Done! Love Brother labelers. Great prize. Done! Love my Brother printer!! Thank you for the opportunity! Love Brother and Creative Scrapbooker! DONE! love Brother and creative scrapbooker! Oooo, the mind boggles with the possibilities! What a cool prize! Thanks for the chance! sherrysinnaeve@gmail.co. Done. Would love to win. Done. sherrysinnaeve@gmail.com. Thanks for the awesome looking prizes. Done! 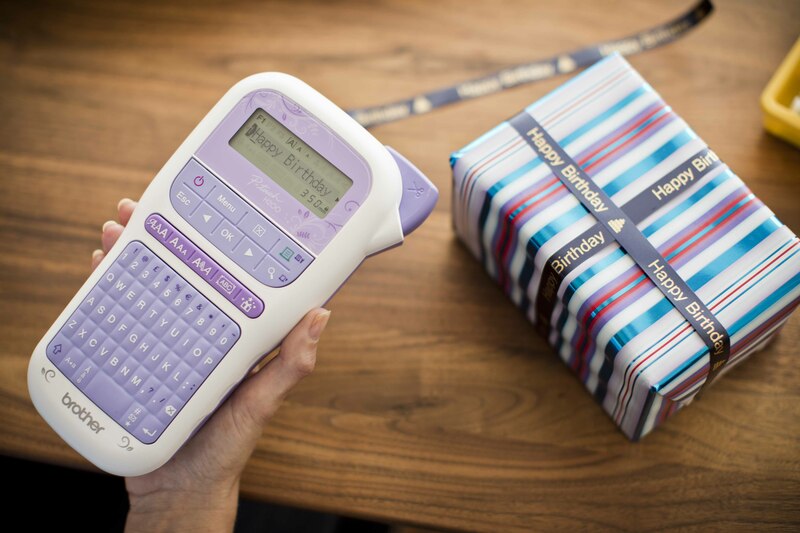 Would love to win this spiffy little label maker! Saw this demo’d and loved it immediately! Sure would love to have one in my stash! Would love to win this beauty!! I am WOWED by this!! Unfortunately they dont recognize the territories! Thanks for the chance to win such a fantastic prize. I’d love to use it in my scrapbooking. Done! DONE! What a cool prize! I’d definitely make great use of it if I were fortunate enough to win it!!! Done1 Pick me, pick me, pick meeeeeeee!!!!!!! Done! I can think of lots of great ideas for this great giveaway. Done. Thank you for the chance to win this awesome prize! Awesome prize again!! thanks for the chance. Done! and WOW! What a cool tooL! I could really use this prize. Wow!!! This is amazing!!! I’ve never tried a Crafting Labeller and it would be great win it!!! Fingers crossed!!! I would love to win this product. Thanks for the opportunity. I am an organizer so this would just bring me such joy! I would love to print ribbon for the holidays a pretty everything up! Thank you for the chance to win. I have always wanted a labeler like this. DONE. What a wonderful new toy!! Thanks for this cool prize (that I will hopefully win!)!!! And I had no idea Brother has products to offer towards almost all of my hobbies! Thanks Creative Scrapbooker! Great took for a crafter! Love the product, and the magazine! This looks like an awesome device for any crafter. I have never seen it before but would feel very lucky to win it. DONE! Done! I signed up for the Brother US newsletter. Love this magazine., so many great ideas and love the quality of paper used. Look forward to winning! DONE! Thank you for the opportunity to win. I would love to have this label maker!! Done – I own a larger Standard Brother PTouch Labeller, but would love this compact Crafting Labeller for crops. Thanks for the opportunity. Done. Thanks for the opportunity – I’d love to win this little gizmo for my wife!